After keeping a low profile for the last few years, Oakland-based dark metal act Mefitis recently published a three-song single in digital format as a precursor to their upcoming debut album. 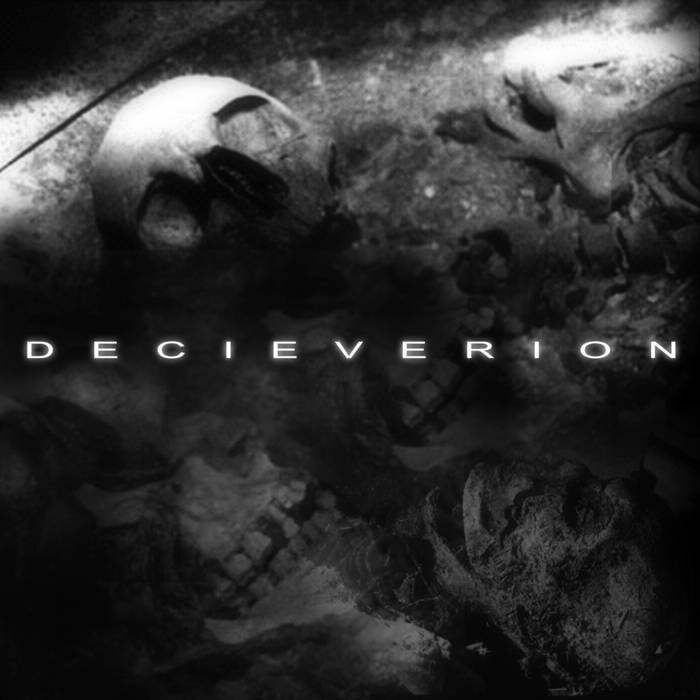 Decieverion start out making what can precisely be described as dark metal, an amalgam of death, black and heavy metal techniques underpinned by extreme metal vocals which can be of a variety of kinds. The purpose of this music is first and foremost to take the listener through sights both bleak and destructive, but also moving and pensive. To this end, dark metal, and so Decieverion, adopt a variety of techniques which, while not disparate or incongruous, make it hard for the critic to place them within one style or genre. Unlimited by such restrictions, the music wanders around seemlessly without great contrasts being perceived as outright offensive. On the downside, the lack of stylistic focus gives this music an altogether weak voice, even if execution is enjoyable and profficient. Incumbered by the liberties and confusion of dark metal, Decieverion tread a middle path that allows for the transmission of varied emotionality at the expense of clarity and elaboration towards depth. A final valuation of the present work reveals that the greatest treasure to be found here is one of countless things to say subsumed under a same aura and personality. 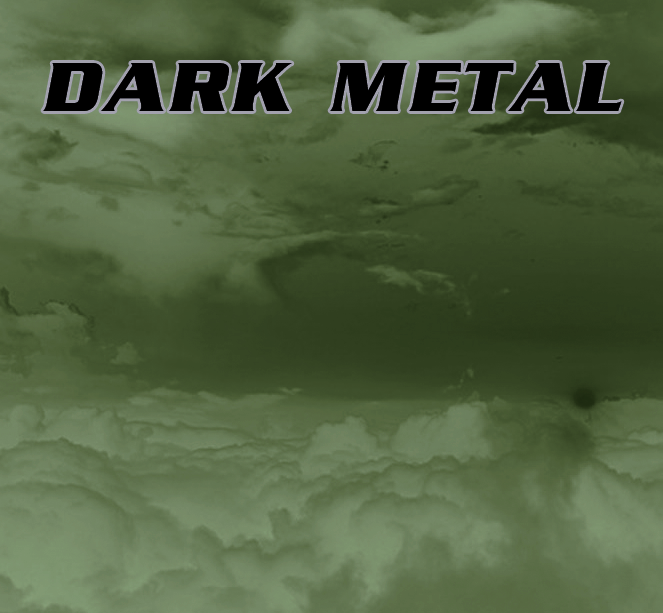 Dark metal moves, as its name directly implies, towards themes “of darkness.” In short towards the less pleasant, the less visited, but no less crucial aspects of our lives and minds that are often neglected but which are more decisive to human experience than the parts that are “positive” or “nice,” —human delusions not withstanding. Furthermore, dark metal as a whole tends towards personal sensations of frustration or desperation, rather than the painting of mythological outlooks. In this there is the advantage of being able to raise a sign that says “I have seen and I have lived.” The disadvantage is that in taking up the space and time to represent this subjective, changing and capricious individuality, the comprehensible link that would make the music self-evident through structures and style to others becomes blurred and debilitated. Instead, it is the bleeding emotionality that seeps through the cracks that impressionistically transmits a holistic image that can only be captured by intuition. Furthermore, the commonplace nature of the expressions used ensures that it is the intuition of a human unencumbered by layers of abstractions and “artistic” demands that finds the emotional clarity found herein as the Decieverion’s most important asset. 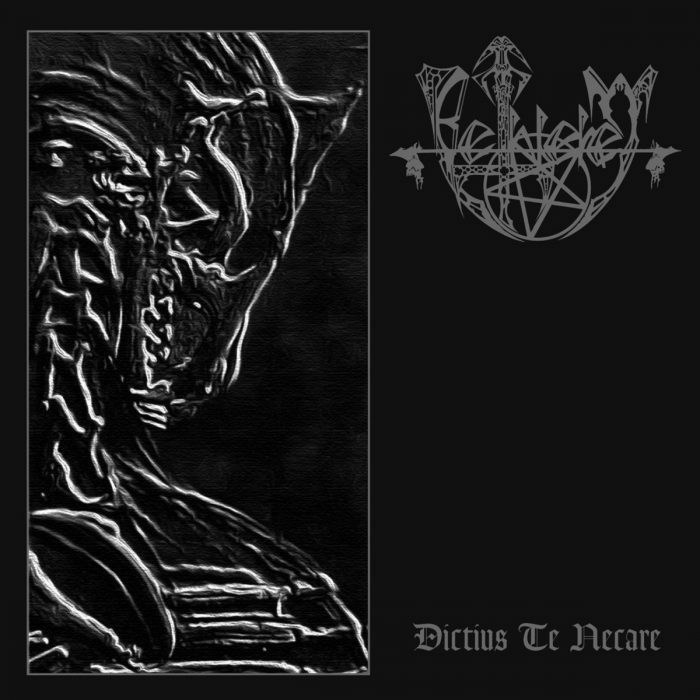 Decieverion then moves between passages that hint at black metal, at death metal and at so-called doom metal, in a way that many would interpret as a that of an undefined underground metal. But being these stylistic differentiations within an ultimately united genre, a prudent mind can fuse them together without the slightest hint of incongruity. Sufficiently intelligible complexity is achieved by smoothing out the textures of adjacent sections, and using contrasts in this texture as narrative markers, rather than as tools of shock, which would have destroyed the music’s credibility. The rightful complaint to be made is not so much that the styles are mismatching, because they are taken back to the power chord, as well as the multi-purpose percussion style that is founded upon the rock-based extremisms of underground metal. As such, and in order to attain stylistic variety, Decieverion errs on the side of more mainstream genres. To summarize, Decieverion let themselves be understood by choosing the more comprehensible popular aspects of metal, as far as they go, while developing a narrative by extending songs that connect sections through a proper minding of texture and by protecting the integrity of tonality. If music is to be ultimately interpreted as an art of communicating what words cannot describe, then the art of Decieverion is accomplished at that of the transmission of experience-based insight from individual to individual. While other works leave great impressions of great art, they are ultimately impersonal and lacking immediate relevance to the majority that behold them in awe. 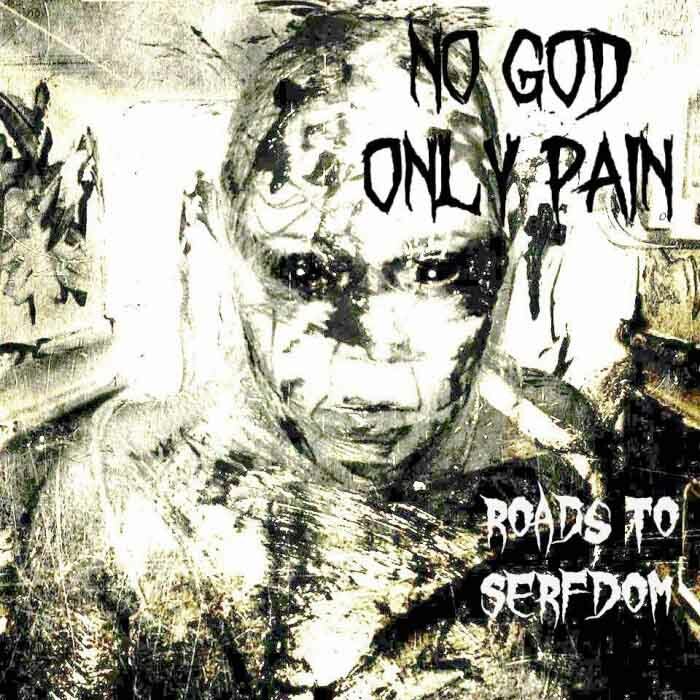 Nocturnal doom/black metal band No God Only Pain are finalizing details on their upcoming EP Roads to Serfdom which demonstrates a transition in styles of this band toward apocalyptic roadhouse dark metal. This new style features all of the Motorhead-inspired choruses, Darkthrone-infused verses and oddball, doomy structures and atmospheres of the earlier work, but with more of a nod to early Danzig in an exploration of classic heavy metal. This recording is a dissonant experiment under the Barkeresque transmutational concept that “anything can be created.” There’s five songs total, hinging on the theme of how (despite its appearances) modern society is still feudal in nature. Riff wise the songs still attempt to flow as a single voice yet are purposely more diverse than on Joy of Suffering. This recording demonstrates a singular musical concept: simple Burzumy punk tunes to some epic song progressions. The album challenges itself like a madman and aims to polarize opinion like a bad Zogby poll. Half the recording is purposely super lo-fi with a very minimal number of microphones. Purposely using so few mics (and nothing direct ) seems ridiculous, but previous attempts at for lo-fi but discernible sound sucked for me. We acquired many pieces of gear at flea markets and pawn shops to try to capture the sound we required, and most failed, but we perservered. Our goal was to get a dark and grungy sound, like Transylvanian Hunger, but with bass and vocals done way more professionally (Scott Burns Obituary style) which creates irony since our bassist plays groovy and fuzzy like Blue Cheer. A large part of the point of doing the recording this way is to allow more time for the bass and vocals to experiment and color the songs more, while the guitars and drums maintain more basic driving tones. The bass is not on this recording yet. The title track is an experiment in itself as it questions how much variety in riffs and song structure a song can have and still make sense. It attempts capture in one song the variety of genres of music in metal and juxtaposes them as a metaphor for the cornucopia of ways that society trys to exert control over the individual. There are many diverse experiences, but all roads lead to serfdom. California doom/punk band No God Only Pain has published its latest round of stickers featuring artwork inspired by the Hellraiser films combined with grim realism from life experience. In addition, the band has announced that it will change direction from its fusion of black metal, doom metal, punk and classic metal to “roadhouse dark metal,” embracing all that is in feral atavistic realist rock from The Doors through Motorhead as well as its own influences. This style is emerging as the new front for underground metal: a Paradise Lost-style lead rhythm melody laced doom metal as if played by a war metal band at death-doom paces. This takes last season’s favorite, the Incantation-derived “cavern metal” band, and adds to it melody and more distinctive traditional riffing, but keeps the same morbid subterranean atmosphere. 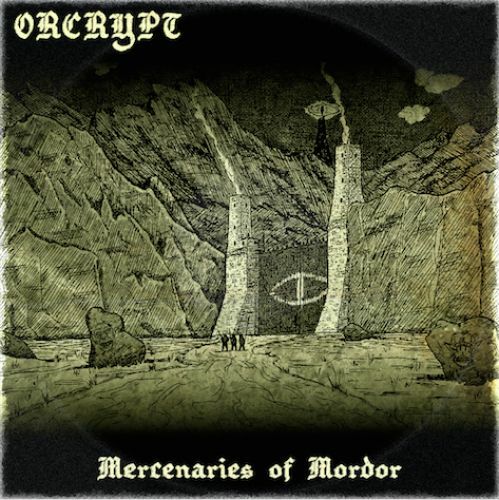 Orcrypt add to this formula that ability to wield classic, catchy choruses in the style of Pyogenesis or later Sodom, so that like war metal songs rumble through a series of riffs and then break into a clarity that resembles the moment on Pink Floyd album when storyline and music united. This is done within a riff vocabulary that would fit alongside later Emperor, early Mayhem, Revenge, Blasphemy and Order from Chaos. 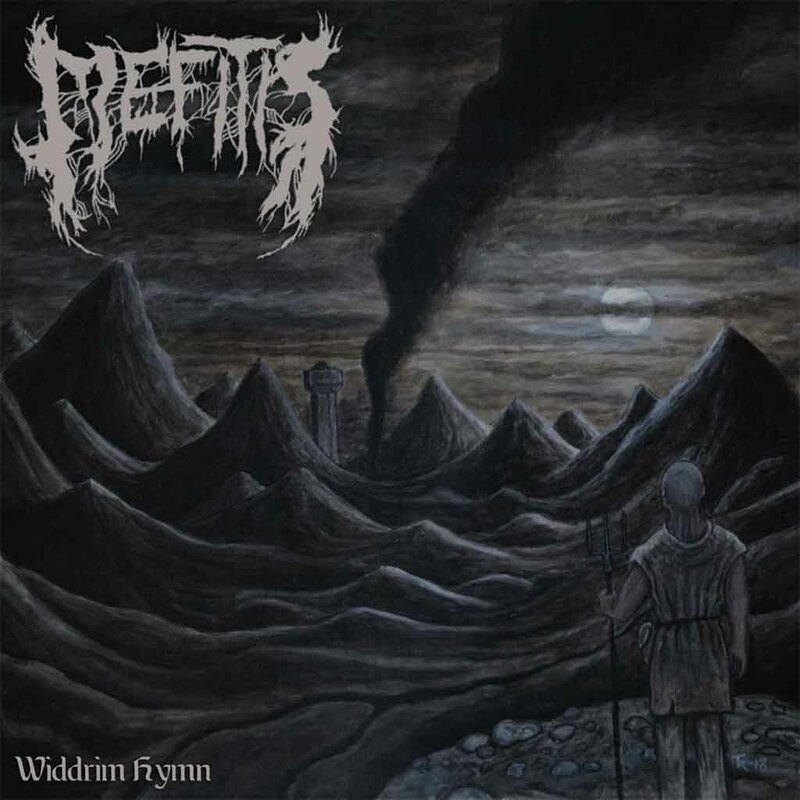 The result avoids the off/on hard/soft approach of bands from Pantera through nu-metal, and instead works up to the catchy choruses with embedded melodic rhythm leads among the surly and rapacious war metal/black metal riffing. This creates a haunting anticipation that flowers in the choruses, which are less frequent than with purely verse-chorus bands. Pacing follows that of a doom-death band: breaking from slow to fast, to return to a mid-paced option that leads into the slow. This perpetuates the dark ambiance and enriches it with a sense of internal motivation. Orcrypt know how to remove everything but the essential in songs and then later, where it has no negative impact, work back in noisy leads and vocal accents. The result is both dark underground and has the power of traditional heavy metal. Empyrium have cross-bred funeral doom, folk/power metal and 1980s Gothic synthpop but have removed the electronic sounds, producing an organic take on the nascent Romanticism in the modern spirit. This is music for return to the forest, but in a less aggressive form than Ildjarn or Burzum; it’s on the level that power metal fans and even Nine Inch Nails listeners can appreciate. Into the Pantheon is a live concert in which this reclusive and only sporadically active band picks its most forest-friendly tracks and plays them in a single unified format. With production thus level between them, Into the Pantheon serves as both greatest hits and a modernization of their classic sound. What is great about Empyrium is how well it meshes. Vocals are dramatic and funereal in the way that Sisters of Mercy and Fad Gadget made famous, but are accompanied by light orchestration and minimal percussion, with acoustic guitars taking the lead. At crucial points however, the full power of the fulminant distorted guitars take over and create a surge of energy but unlike rage, this is directed at a dark and melancholy place like a contemplative forest walk in twilight. 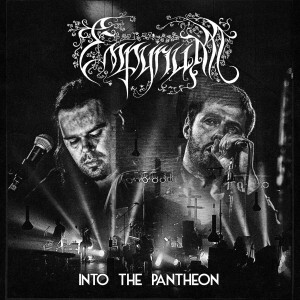 Empyrium win fans over through their musicality and a vision of doom metal that is tasteful and elegant. Unlike Candlemass, vocals do not dominate the music but appear as a complementary effect; unlike more modern doom bands, guitars are not over-active or musically flashy. Instead, here there is the art of classic songwriting, on a subdued pace that emphasizes beauty emerging from within in the clash of darkness and light. Where a funeral doom band like Skepticism overwhelms with a poignant morbidity, Empyrium is more like the music which has traditionally emerged from popular off-mainstream European artists. It’s heartily personal and heavily emotional, but could easily transition from this genre to an acoustic performance in a pub near a lost mountain path, or in the court of a king. It has an eternal character to it underneath the modern genrification. Empyrium has not given many public concerts, and we are told that this 2011 recording represents the return of the band to active life. Hearing how emotional and yet violently lusting for life these anthems are, it makes sense to want this band to continue with its renovation of metal. Not all will take this path, but its outlook can be infectious, and improves on the three-notes-to-rage formula that mainstream forces wish it would take.